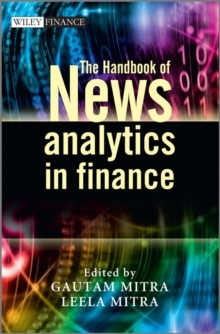 The Handbook of News Analytics in Finance is a landmark publication bringing together the latest models and applications of News Analytics for asset pricing, portfolio construction, trading and risk control. The content of the Hand Book is organised to provide a rapid yet comprehensive understanding of this topic. Chapter 1 sets out an overview of News Analytics (NA) with an explanation of the technology and applications. The rest of the chapters are presented in four parts. Part 1 contains an explanation of methods and models which are used to measure and quantify news sentiment. 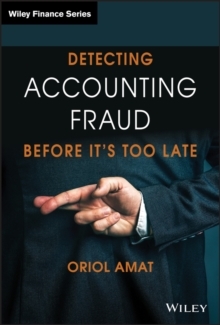 In Part 2 the relationship between news events and discovery of abnormal returns (the elusive alpha) is discussed in detail by the leading researchers and industry experts. The material in this part also covers potential application of NA to trading and fund management. Part 3 covers the use of quantified news for the purpose of monitoring, early diagnostics and risk control. Part 4 is entirely industry focused; it contains insights of experts from leading technology (content) vendors. It also contains a discussion of technologies and finally a compact directory of content vendor and financial analytics companies in the marketplace of NA. The book draws equally upon the expertise of academics and practitioners who have developed these models and is supported by two major content vendors - RavenPack and Thomson Reuters - leading providers of news analytics software and machine readable news. The book will appeal to decision makers in the banking, finance and insurance services industry. 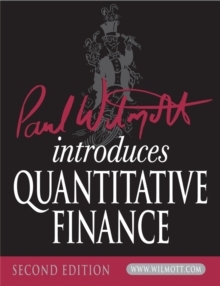 In particular: asset managers; quantitative fund managers; hedge fund managers; algorithmic traders; proprietary (program) trading desks; sell-side firms; brokerage houses; risk managers and research departments will benefit from the unique insights into this new and pertinent area of financial modelling.